If you want a London hotel with Victorian style and splendour then the Grosvenor Hotel on Buckingham Palace Road has this in abundance! On arrival this majestic Grade Two listed building most definitely offered us the wow factor! With the most magnificent entrance lobby with gorgeous gold and red decor to compliment the Victorian authenticity of the 1862 building, you really feel transported to another era. A jaw-droppingly beautiful chandelier is the entrance lobby’s focal point in front of the opulent stair case which gives such a fabulous first impression of grandeur, but the first floor balcony surrounding the lobby with the beautiful archways is also stylish and authentic. The staff on arrival were extremely helpful and with our cases being taken up to our room we couldn’t fault our welcome. 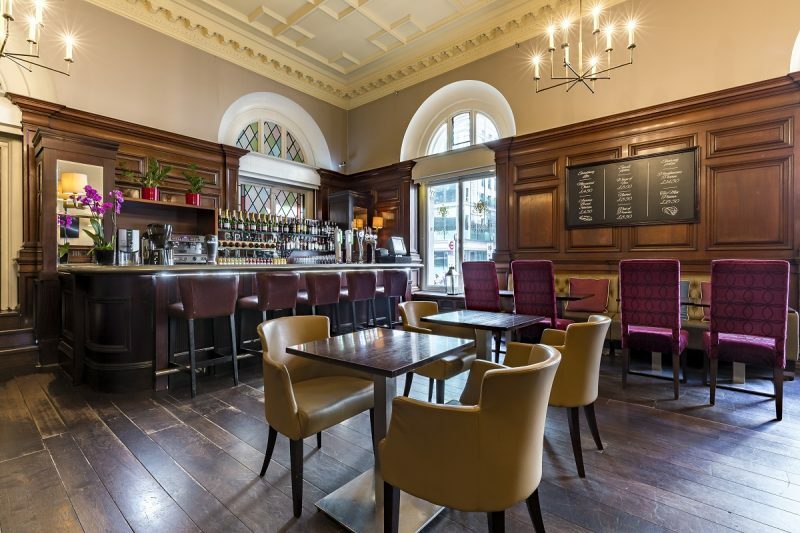 The location of the hotel is second to none for those visiting the capital – it even has an impressive hidden back entrance which leads directly into Victoria Station! You literally couldn’t ask to be any closer to the superb transport links from Victoria which will ensure your sightseeing around London is quick, easy and stress-free! The Grosvenor’s close proximity to Buckingham Palace, The Apollo Theatre and the Houses of Parliament are an added benefit for the London tourist. Our room was a really good size – tastefully decorated in rich browns, golds and red. The twin beds were comfortable and also a good size, while the room also offered a relaxing velour sofa for lounging in front of the TV, ample wardrobe space and a desk and chair. There was also all the extras you’d need for a comfortable stay including ironing board, kettle, fridge stocked with complimentary drinks and a coffee machine which made a really good cup of coffee! There was also a wonderfully spacious bathroom with large bath and overhead shower along with free toiletries, bathrobes and slippers. As well as The Grosvenor’s Arms which is open all day for lunch and dinner and which is also where a full buffet style breakfast is served, the hotel also has the impressive Grand Imperial restaurant on the ground floor serving Cantonese dishes and delicious dim sum, as well as the champagne and cocktail bar Reunion. The Lounge is a stunning room and the most perfect in which to enjoy a luxurious Afternoon Tea with friends. 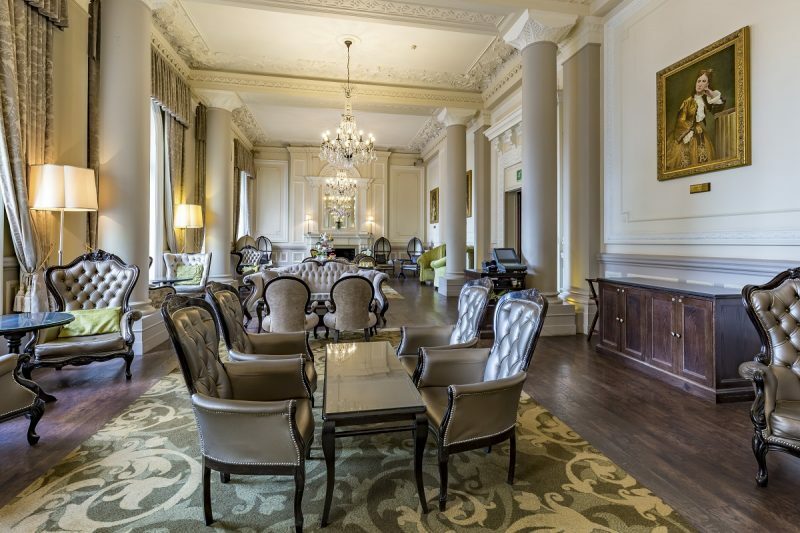 What I loved most about The Grosvenor, is that following its multi million pound refurbishment, you receive all of the modern luxuries you’d expect from a 21st Century hotel, whilst maintaining that wonderful decadent traditional feel. Take advantage of GLH Hotels’ Easter sale which is offering up to 25% off stays at its hotels – including The Grosvenor. 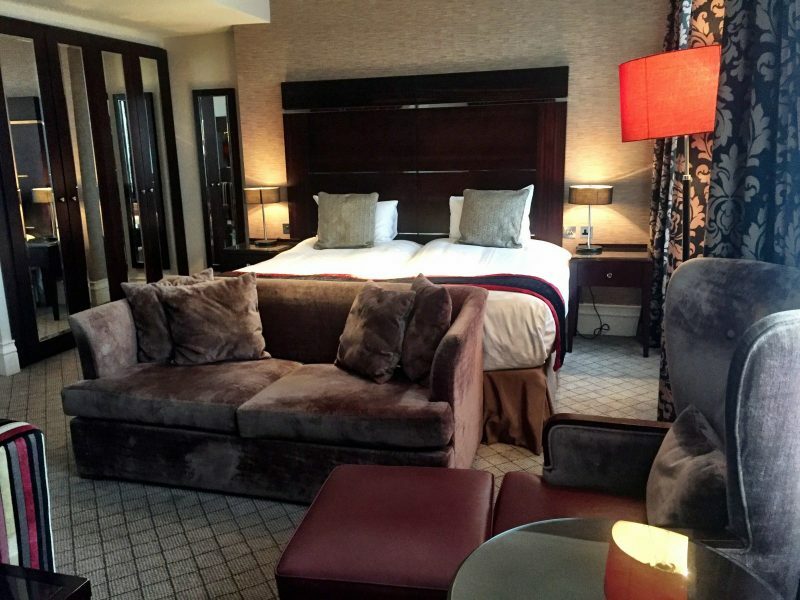 With 14 prime central London loactions, you may want to enjoy a night or two at the Royal Horseguards Hotel, Tower Hotel, Every Hotel Piccadilly, a selection of Amba Hotels, or Thistle Hotels. Book before March 25th for stays between 26th March and 15th April 2018, and sign in as a member to receive free breakfast during your stay. (T&C’s apply – see the website for more info).